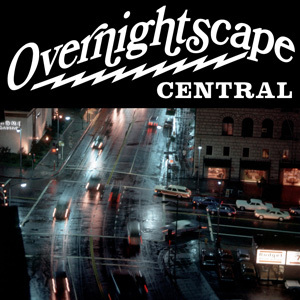 37:05 – The big, variety Overnightscape Underground Sampler!! Many of your favorite hosts in one spiffy package of audio fun!! Wayne Reichert, Manny the Mailman, Israel Brown, Brian Jude, Bob LeMent, Frank Nora, and your host, PQ Ribber combine for the first weekly installment!! Released November 2010 on The Overnightscape Underground (onsug.com), an Internet talk radio channel focusing on a freeform monologue style, with diverse and fascinating hosts presenting amazingly unique programs that are safe and effective. It’s the start of The Overnightscape Underground! Frank talks about how the project came into being and where it is headed. Cool rock song released on now-defunct music collaboration website MyVirtualBand.com on 7/18/05. Frank talks about his encounter with a “paramedical examiner”. Audio of an ephemeral film about coffee houses that are sponsored by churches and community organizations, and how they function as gathering places for countercultural youth. Frank talks about the history of the band “Fuzzy Daupner”. A song about a future world by Fuzzy Daupner, a band from Belleville, NJ that existed from 1998 to 2001. Frank talks about the “Place Sounds” idea. Ambient audio of a street fair in Times Square, NYC.